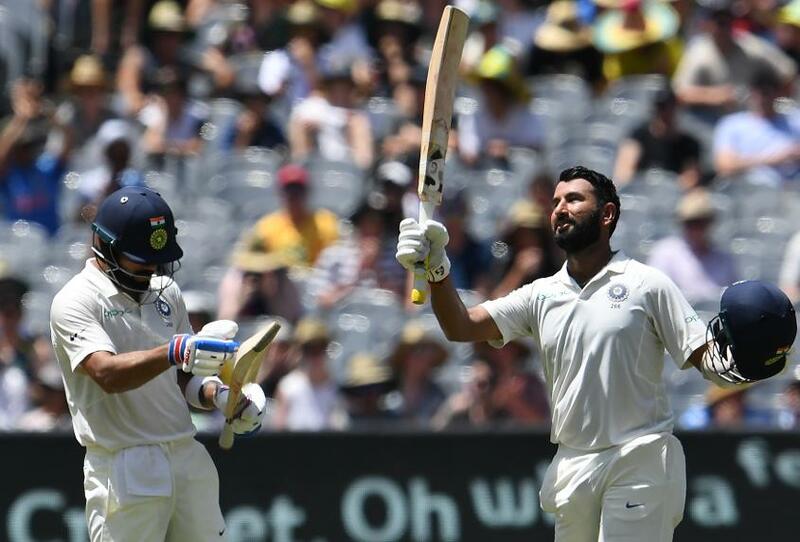 Cheteshwar Pujara says India "will be even more confident" after their triumph in Australia, and that the ICC World Test Championship will be the "most important thing" for the team going forward. Pujara was adjudged Player of the Series after scoring 521 runs at 74.42 to help India secure their first ever Test victory in Australia. He believes that the team's prime focus will now shift to the Test Championship, which starts in July 2019. "I think the most important thing is the Test championship, which is starting from this year," Pujara told Cricket Next. "So, to win that as a team and continue the success which we had in Australia is the most important thing. We have started winning overseas. And whenever we play overseas now, I am very sure we will be a different unit. "We will be even more confident as a team. And I think that the success mantra we have got in this tour will help us in the coming tours in the future." Pujara's rock-solid game has earned him a reputation as a Test specialist, but the 30-year-old does sees himself as a versatile player. "If you look at my List A cricket, the way I have batted, the number of runs that I have scored, is very good and when I played white-ball cricket for Yorkshire last season, I scored many runs. "I think I had a hundred and three fifties in about four innings which shows I can play white-ball cricket. "The moment people start seeing me bat well in ODI cricket or T20 cricket, they will understand that this player can do it"
"I personally have no doubt about it. I can play white-ball cricket, and it is something where I can get a little more exposure. If I get more opportunity then things will change. "It is the mindset. The moment people start seeing me bat well in ODI cricket or T20 cricket, they will understand that this player can do it. Because if you look at my Test cricket (game), people had that opinion that this is the old-school cricket. "But that opinion changed. And even with white-ball cricket, I think in times to come, it will change." Is there anything Cheteshwar Pujara can't do? His latest incredible feat was to inspire his domestic side Saurashtra to a record Ranji Trophy chase. Pujara has scored almost all his Test runs – 5426 at 51.18 – at No.3 in the Indian batting line-up. The 30-year-old believes that the secret in succeeding at one-down is to be "prepared to walk in at any time". "Mentally you have to be prepared to walk in at any time, when you are batting at No.3," he said. "It is always nice when openers have a good partnership, you can always relax a bit. I am sure whoever has batted at No.3, they all know that openers' job is the toughest in Test cricket. You still have to accept that most of the times, they get out early. "But, especially overseas, it's a tough job for openers. So they do get out early, but it is always nice to have a partnership. If we are 50 for no loss, I am always happy. But if I have to walk in in the first 5 overs I am still always prepared for it."